So, you’re trying to work out which marketing framework to use. Cool, there are three to choose from: SaaS, e-Commerce and High Consideration. This should be familiar for people who live in the startup world. It’s the go-to framework when thinking about consumer behaviour and decision-making. A startup or a business that operates from a SaaS model can only be successful when each of the five AARRR stages are broken down, defined, measured, analysed and then optimised. Acquisition refers to how your customers find you. There are many potentials channels out there (over 800 at last count), and I highly recommend reading this great article that covers the variety of channels by Gabriel Weinberg (the author of the book Traction). Weinberg manages to shoot off 19 different channels. Some such as SEO, SEM and display ads might sound familiar, but have you considered community building? Or unconventional PR? There is more than one way fill up the top of your funnel up. The Bullseye Framework by Gabriel Weiner is another great framework to help you identify what channels are worth testing, in order to find that one scalable channel. His article is structured whereby the 19 possible channels lie on the outside circle of a darts board, whilst the channels you should be testing lie in the inside circle on the board. The one channel that performs exceptionally well will be the metaphorical bullseye. Have a read. These channels aren’t only relevant for acquisition however, or getting new users. For example, email marketing is great for top-of-the-funnel activities, but it is also one of the best weapons for retention, or referral. Have you had an email from a business that says, “we haven’t seen you around on our platform lately, we miss you!” These types of drip campaigns can be used across the entire user journey. When testing acquisition channels, it’s incorrect to think about the funnel in the context of acquisition alone. As a great marketer, your mission is to consider the entire funnel. For example, whilst you might be getting someone onto your website for $0.30 with a display ad vs. $1.10 with Google Adwords the long-term value of these two users may be very different. At first glance the display ad is a clear winner. But what if Adwords customers are converting 300% more often? Still a slightly worse option. But what if they are retained/repeat users at much higher levels, and even bring in more referrals? This is what you need to be thinking about in context of acquisition, not just the acquisition metrics. Put simply, acquisition is a set of strategies and channels designed to acquire users. 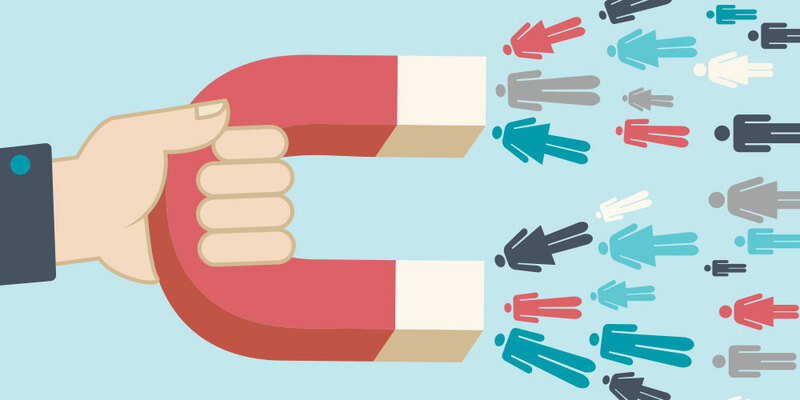 Acquisition is usually the last thing to be built-into most marketing machines. Often, there’s a minimum viable number of daily sign-ups (say 10 or 20) that most product-teams need whilst building the product and building the growth machine. The next step is activation. It’s our view that this step is the most important of all. Activation is tied directly to user experience. It refers to the amount of time before a user obtains value from your product. A business with great activation will see the majority of users who sign up continue to use the product over the long term. Whereas a business with low levels of activation will have much lower rates of usage and retention over the long term (if at all). A great example of a business with fantastic activation is duolingo. The core value of this website (learn a language) is demonstrated very quickly – literally within a few clicks you’re learning a new language. You don’t even have to sign up! In this scenario, activation has been positioned before acquisition. Duolingo actually ‘activates you’ before they ‘acquire you’ (so clever). They have you sign up after you get to experience the value of the product. Ultimately, this means activation is 100% (a dream). An easy way to start caring more about activation is to change your user acquisition metric from ‘number of sign-ups’ to ‘number of activated sign-ups’. 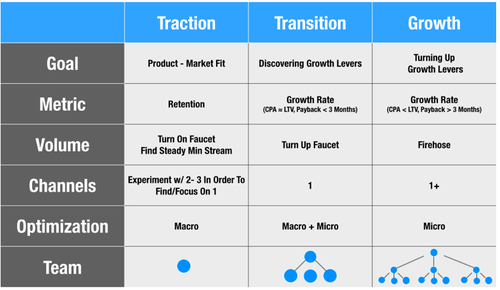 Growth is all about retention. Don’t bother trying to scale a product unless you have retention. It’s like trying to fill a bucket that has holes in it. If you truly want to be an awesome growth marketer, please spend some time watching Alex’s presentation on growth. He is a former VP of marketing at Facebook and truly understands the power of retention. Retention, put simply, is whether or not users come back to use your product a second or more time. What’s the point of acquiring new users and activating them if they’re just going to stop using your product? In terms of total users, it’s a lot easier to keep adding more users to your platform with a growing base, than trying to compensate for all the users who are disengaged and no longer using your product. If you have low retention, you have big holes in your bucket (and activation is probably the main problem). In other words, when retention is down, it’s not the fact that people aren’t using your product over and over again, it’s usually because they’ve never used it, not once. For those of you who are starting a business, retention is actually a great sign of product-market fit. If 40% of users are being retained, this says a lot about the value of your product. And in our experience, 40% is actually a good 30-day retention rate. Retention metrics vary from business to business so it’s really important to consider how you’re going to measure retention. The simplest and certainly most common measurement of retention is monthly active users (MAUs). A better (but more complex) approach is measuring the difference between the number of times a user used the product, compared to the number of times a user could or should have used the product over the typical time period in which a user should use the product. In other words, when the user could have or should have used our product, did they? E.G. When a user needed to book a flight, did they use our platform to do so? To determine this ‘typical window of usage’ a social media site might be interested in weekly active users (WAUs), whereas an end-of-financial-year accounting platform might have to wait a year to find out if a user is retained. In it’s early days, Facebook as a social media platform was heavily focused on Monthly Active Users (MAU’s) while other social platforms were mainly measuring total registered users. What’s the difference? Facebook cared more about people actually using the community, versus the number of people in it. Sounds like an awfully familiar homage to core value proposition doesn’t it. To go further, Facebook had a golden rule for activation in their context of retention. They thought that if a user got to 10 friends in 14 days, they were much more likely to be retained as a user. It’s important to be mindful of the difference between correlation and causation here though. A similar metric was espoused by the folks at Twitter: users with 20 or so followers were more likely to be engaged over the long term. This sounds like causation, meaning by following 20+ accounts it would cause a user to become engaged over the long term. 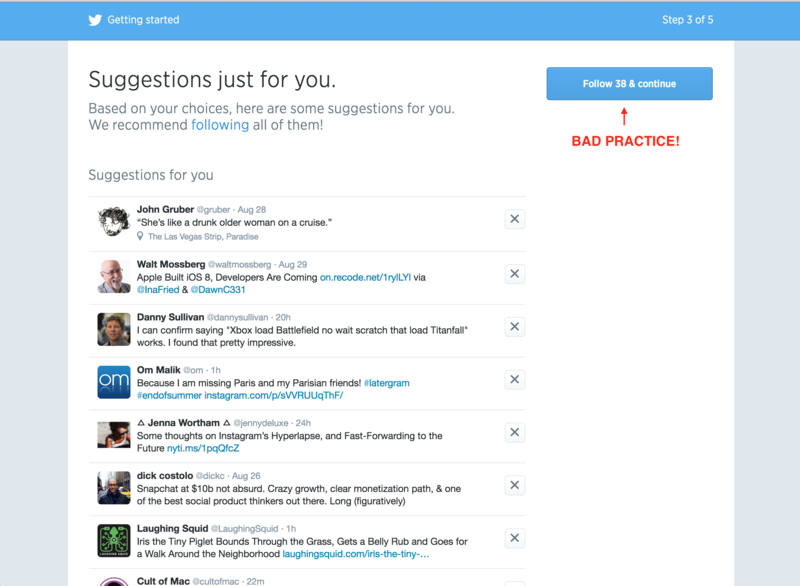 To encourage/increase this, Twitter introduced a single button during on-boarding that automatically followed 20+ people. Effectively forcing activation. A quick aside before we proceed, forcing activation never works. True activation involves the user doing the work, not the product ‘showing’ or ‘demonstrating’ or ‘stepping the user through’ the product. Alas, Twitter’s observation of users who followed 20+ people being more engaged was actually correlation (not causation). Meaning people who were engaged also happened to follow 20+ people. In other words, one didn’t cause the other. This is pretty simple. Are people paying to use your product? If you’re a bit of a sucker for psychology like us, there is a lot of cool content out there on pricing, and how humans react to it. Hint: we as consumers make some very dumb decisions. 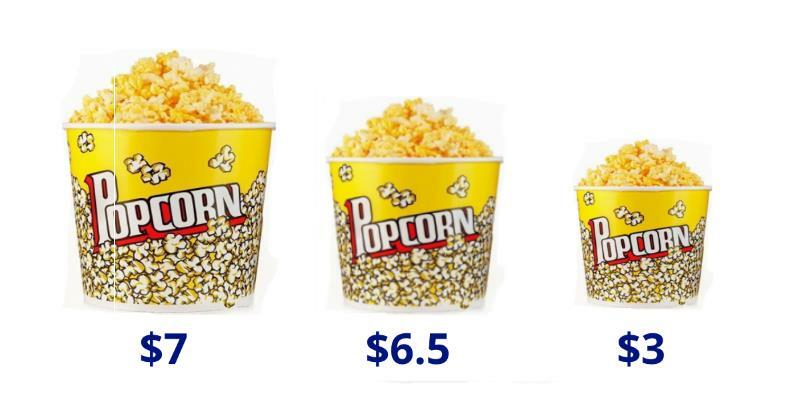 A cool example is the psychology of decoy pricing on popcorn. You’d be surprised how you can make this work for a range of business pricing decisions. The last component of the SaaS funnel is referral. Have you heard of the phrase ‘net promoter score (NPS)’ before? It’s a great way to understand how likely your users are to refer your product to other people organically. 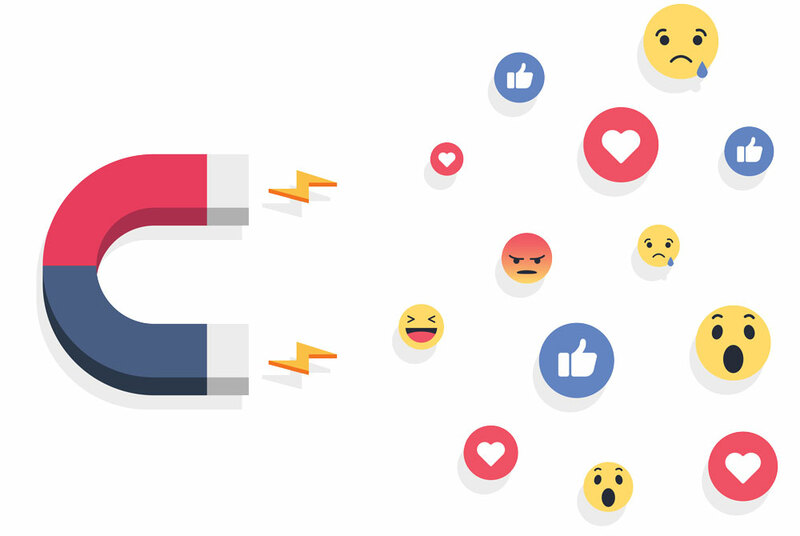 The reason why this metric is so important is because referrals are directly correlated to the virality of a product, and how much it will grow organically through word of mouth. Companies such as Dropbox, PayPal and Uber have all used incentivised referrals as a catalyst for growth. Refer a friend and get $20 in Uber vouchers, or $20 into your PayPal account or even something as simple as 1GB extra storage in your Dropbox! What’s better than incentivised referrals? Inherent referrals, or inherent virality. Inherent referrals are ones that come about because of the nature of your product or service. There may be a purposeful mechanism behind it, and it is built in to how people would normally experience or use your product. Sharing the product is part of everyday use. Email and telephone calls, for example, are inherently viral. You can’t send an email without sending it to a recipient. Inherent virality is so powerful, and if you can discover it, it will certainly be your biggest driver of growth. Consider this, which of the following referral features drove more growth in Dropbox? Incentivised referral: share Dropbox and get 1GB for every friend that signed up. Inherent referral: share this file/album with a friend. Now consider which one of these two strategies is cheaper, and which one is the longest-lasting. Remember, it’s the long-term sustainable tactics that we want to identify and include in our Growth Machine. A word of caution though. Be careful trying to engineer inherent virality in products that don’t inherently have it. Technically speaking, it is a very difficult test to run, and despite the many times we’ve personally tried to implement an inherent virality strategy, it’s almost never worked. If you do want to do it though, and at least want to test it, ask yourself the following question: ‘where in my product experience would someone naturally share/communicate with another person?’. If you are able to really maximise this point of experience, you don’t need to try and convince users to tell their friends. They’ll want to do it anyway, all you’ll need to offer is the button/or link to enable them to do it. Even better, if your product by nature has a collaborative element to it, your inherent referral mechanism would also act as an ongoing activation (and therefore retention) factor. Improve any one of those three dimensions (without negatively effecting the others) and you will increase revenue. While there is still a lot to this process, many modern e-commerce businesses adopt the SaaS mindset typically with the intention of outperforming rivals. A site that adheres to the typical e-commerce way of life in Australia is Myer. Much of the site acts like a directory. They hope you click around, then find something that interests you enough to add it to your basket and ultimately convert. An example of an e-commerce business, that has literally dominated every market it has entered because of its SaaS mindset is Amazon. Their focus on activation and retention is without doubt integrated into the core of their business. A sure bet you can make about Amazon is that they will try and get as many Australians as possible to make one purchase from their platform. That way they’re signed up, can experience the value Amazon offers, and Amazon has a chance to ultimately retain them as a user. This is an example of an e-commerce business thinking about activation. An example of Amazon thinking about retention was their introduction of Amazon Prime as a subscription service. This is a sure way to raise the customer lifetime value (CLV) of a user over time. Over the years, eCommerce has become increasingly reliant on email and pricing as the value drivers in their marketing funnel. 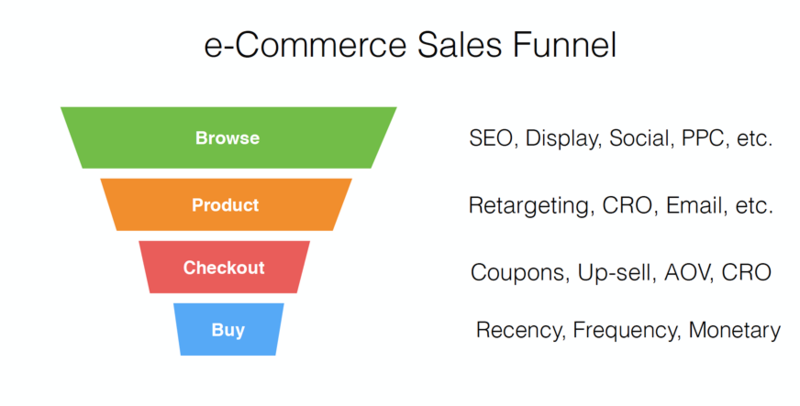 This funnel is quite similar to e-commerce but has a much longer purchasing lifecycle. This is largely due to the ‘high-consideration’ nature of what’s being purchased (cars, holidays, degrees). This funnel also accurately describes a sales funnel through to lead generation. 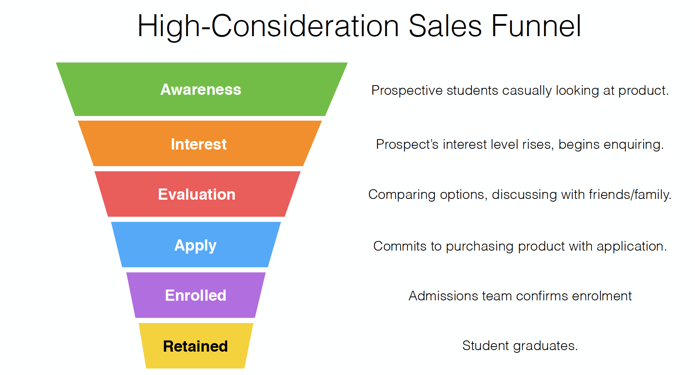 In a high-consideration environment, marketing teams will spend much more time in the awareness, interest and evaluation stages of the sales funnel. Typical examples of products that would have a sales process like this online include enrolling in tertiary study, buying a property, purchasing a car, or booking an expensive holiday. Few people have access to such large credit facilities that they can afford to purchase these items online. Think about the most expensive thing you have bought online. Maybe a plane ticket to Europe? Rarely would your average consumer spend more than $5k online. What about a student’s university debt? The customer’s credit facility is actually the government, and you definitely apply for a degree online for most universities. But because it’s such a massive commitment, the mindset of the user will lend itself to the high consideration funnel more than the e-commerce funnel. A somewhat obvious insight when thinking about your ‘bullseye’ framework for high consideration products is the potential power of high value content. A great strategy in these scenarios is to have well-developed, long form pieces of content for the early parts of your funnel. The important thing about high-consideration sales is that a transactional approach (like e-Commerce) doesn’t work. The reality is that whether you like it or not, your user is going to go through most of these stages in the path to conversion. It’s also very important to realise that if you’re not there during the first few stages (awareness, interest and evaluation), don’t expect to be in the game further down the funnel when the prospect is about to buy. Users aren’t going to just randomly show up to your site and purchase (unless your Apple). In this process, content is truly king.